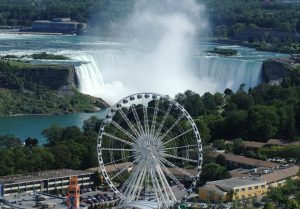 These are the main attractions to do in Niagara Falls. 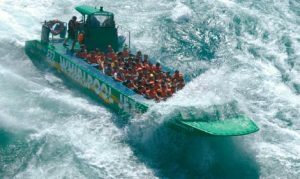 Exclusive for chol hamoed: Jet boat niagara, one of Niagara’s most exciting attractions, is now an extra 15%. THE J-PASS is the only pass of its kind in Niagara Falls. 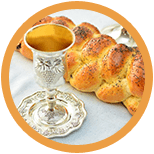 Save more than 30% off of the ideal Frum and family-friendly itinerary. 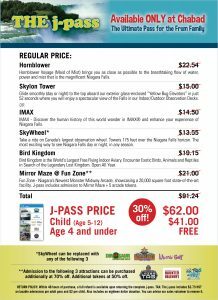 It includes the Hornblower Cruise Boat (formerly known as Maid of the Mist), Skylon tower or IMAX Niagara, Skywheel, Ripley’s Believe It Or Not (This can be substituted with Louis Tussaud’s Waxworks OR Ripley’s 4D Moving Theater) and Fun Zone (This pass includes admission to MIRROR MAZE + 5 Arcade tokens. Save an additional 70% on LAZER TAG, MINI PUTT and HAUNTED HALLWAYS, as well as 50% off additional arcade tokens). 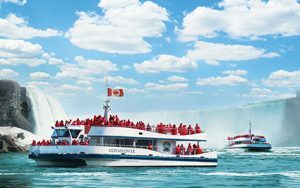 HORNBLOWER Hornblower boat tours bring you as close as possible to the breathtaking flow of water, power and mist that is the magnificent Niagara Falls. 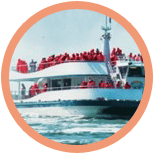 JET BOAT The jet boat tour is more than just the historical nuances of the Niagara area. It’s a once in a life time opportunity to comfortably experience what is commonly referred to as the “Mount Everest” of white water. IMAX Discover the human history of this world wonder in IMAX® and enhance your experience of Niagara Falls. SKYLON TOWER Our Ride-to-the-Top and Indoor/Outdoor Observation Decks are favourite attractions in the region. Glide smoothly to the top aboard our exterior glass-enclosed “Yellow Bug Elevators” in just 52 seconds where you will enjoy spectacular views of the Falls. SKYWHEEL Take a ride on Canada’s largest observation wheel, the Niagara SkyWheel. Towering 175 feet (53 metres) over the Niagara Falls horizon, the Niagara SkyWheel is the newest, most exciting way to see Niagara Falls. You can ride day or night, in any season. 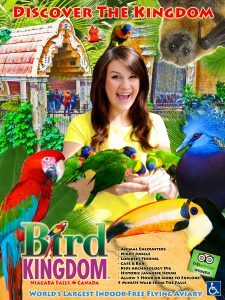 BIRD KINGDOM Bird Kingdom is the World’s Largest Free Flying Indoor Aviary. 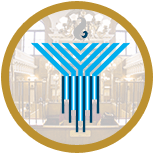 Encounter Exotic Birds, Animals and Reptiles in Search of the Legendary Lost Kingdom. Open All Year. 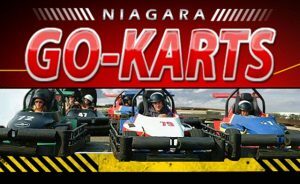 GO KARTS Feel the adrenaline pumping, while riding side by side, fishtailing through the banked corners of one of North America’s fastest tracks. For your safety, all go karts are equipped with roll bars and seatbelts. ticket includes 6 rounds. FUN ZONE The Niagara Falls Fun Zone – Niagara’s Newest Monster Midway Arcade and amazing attractions, showcasing a 20,000 square foot state-of-the-art facility that offers a ton of fun and excitement. This is the perfect venue to come with your friends and family to partake in a Mirror Maze, Haunted House, Mini Putt, Lazer Tag, and 10 tokens. 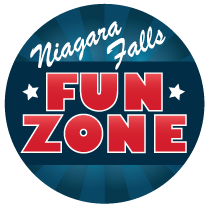 The Niagara Falls Fun Zone – Fun for Everyone! NIGHTMARES Famous for the number of visitors that ‘chicken out’ thousands of people come out to see how brave they really are. 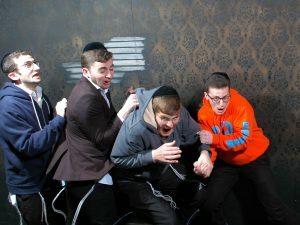 They come in couples, entire families or groups of friends and yet nothing seems to help them feel safe when venturing through the most famous and scariest attraction in Niagara Falls. Are you brave enough to make it till the end? 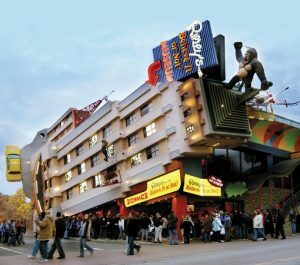 RIPLEY’S BELIEVE IT OR NOT You’ll find the world’s rarest egg, 2-headed animals, and authentic shrunken heads These only scratch the surface of what’s behind the doors of Ripley’s Niagara Falls. HELICOPTER Helicopter tours combine adventure and spectacular views for family vacation memories to last a lifetime. the tour follows the Niagara River from the Whirlpool area over the Whirlpool Rapids and the Rainbow Bridge. 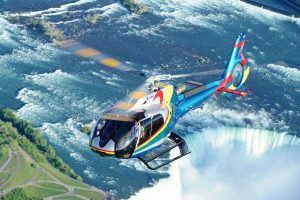 Just when it looks as if you will reach the Fallsview area, your Niagara Falls helicopter tour begins to change direction following the curve of the Canadian Horseshoe Falls. Duration: 12 minutes (including boarding time). ROSSI GLASS Rossi glass niagara is the original Niagara Falls, Ontario, Canadian boutique manufacturer and retailer of hand-blown artisan glass, since July of 1996. the showroom offers a unique and beautiful assortment of glass art in a variety of styles and colors. SAFARI NIAGARA Safari Niagara, a 150-acre, privately-owned and operated nature park, is home to more than 1000 animals of native and exotic mammals, reptiles and birds. C AVE OF THE WINDS A thrilling walk on Niagara Falls’ wild side, the spectacular Cave of the Winds Tour takes visitors into a stormy mist zone, where “soaking up the experience” takes on new meaning! 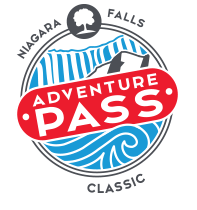 ADVENTURE PASS The pass includes admission to the Hornblower Niagara boat cruise, the Journey Behind The Falls, the White Water Walk, and Niagara’s Fury – The Creation of the Falls. It also includes unlimited use of the WEGO buses for two full days. JOURNEY BEHIND THE FALLS (pass only) The sound is like thunder, the sight awe-inspiring! Take a journey deep below and behind the heart of Niagara and stand right in the mist and spray. 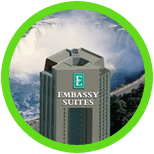 You’ll be amazed by the mighty Horseshoe Falls crashing down from 13 stories above you! 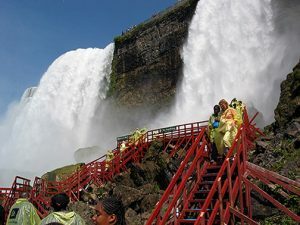 NIAGARA’S FURY (pass only) Travel back in time 5,000 years to experience the Creation of the Falls. 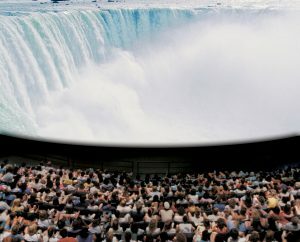 Witness the power and beauty of nature in 4D as the history of Niagara is revealed – you’ll feel like you were actually there when Niagara’s Great Gorge was formed! WHITE WATER WALK (pass only) Discover raging white water deep in the Niagara Great Gorge. Stroll the boardwalk at the very edge of the pounding water and overlook some of the world’s wildest rapids – the sight will take your breath away!